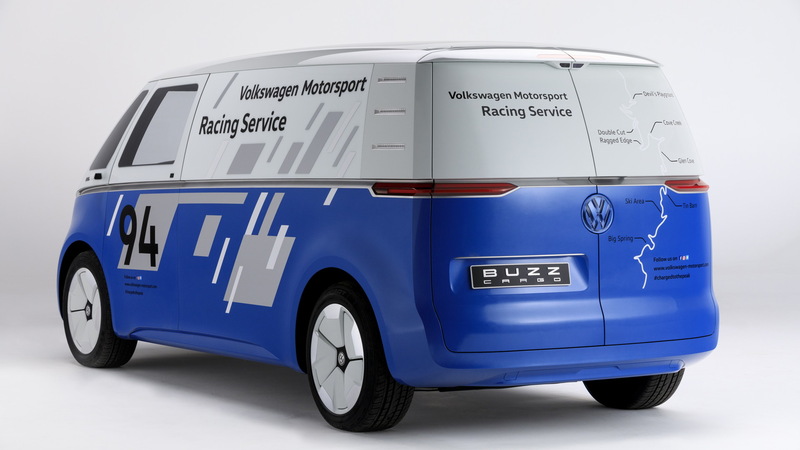 Volkswagen will use this week's 2018 Los Angeles auto show to present the ID Buzz Cargo concept. 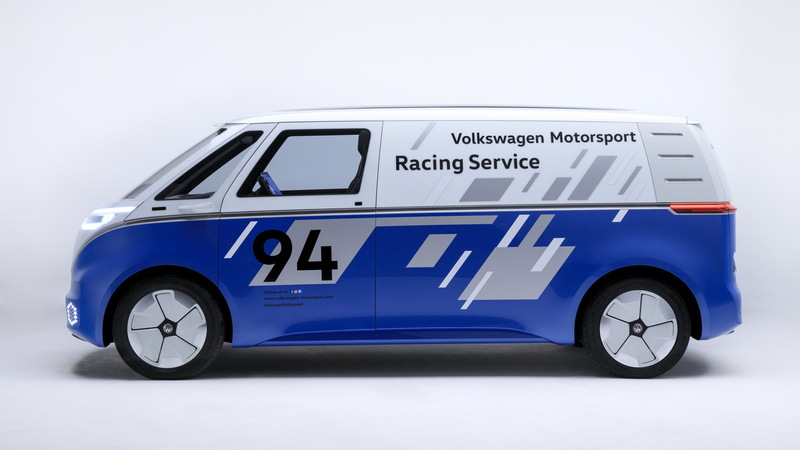 The electric cargo carrier was first shown in September at a commercial vehicles expo in Germany, and the version bound for L.A. will be dressed as a support vehicle for VW's ID R Pikes Peak electric racer, which in June ran up Colorado's Pikes Peak in a record time of 7:57.148. 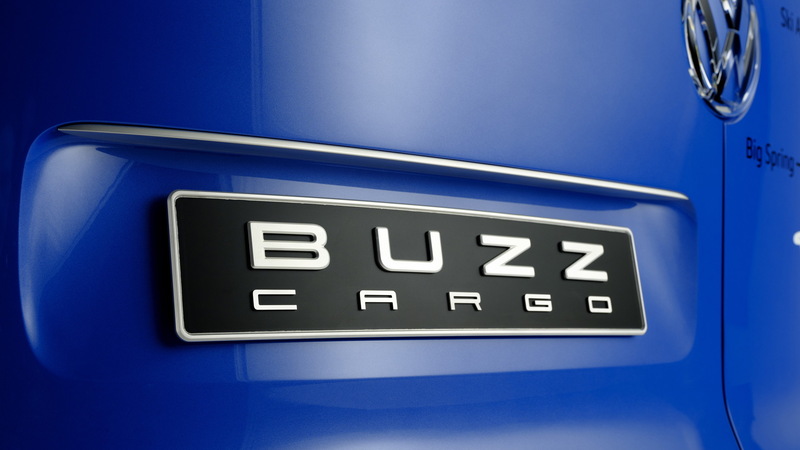 As the name suggests, the ID Buzz Cargo is a commercial version of the passenger-oriented ID Buzz concept (shown below) that VW unveiled in 2017. 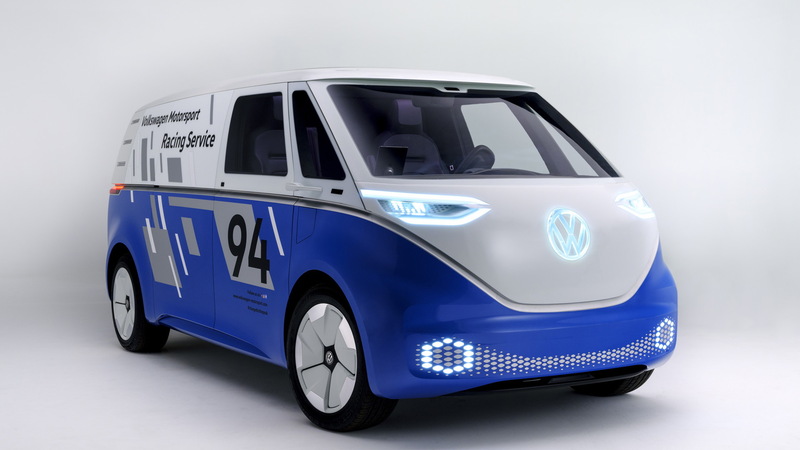 The concepts preview an electric van that VW is developing as a spiritual successor to the iconic Microbus. A passenger version of the electric van is due on sale in 2022. If there's sufficient demand, VW will launch a commercial version alongside the passenger version. Like all ID concepts, plus the production versions they'll spawn, the ID Buzz Cargo is based on Volkswagen Group's MEB modular platform for volume electric cars. The ID Buzz Cargo utilizes the longest version of the platform which allows a 111-kilowatt-hour battery offering more than 340 miles of range to be fitted. However, VW estimates that potential buyers of the ID Buzz Cargo would opt for a base 48-kwh battery good for 200 miles of range. Using a 150-kw charger, VW estimates an 80-percent charge of the 48-kwh battery would take less than 15 minutes. Therefore a driver could easily make a few deliveries and then charge up while loading the van for the next round. A solar panel on the roof can also add enough charge for a little more than nine miles of extra range on a sunny day. Drive comes from a single electric motor mounted at the rear axle and paired with a single-speed transmission. Its 201-horsepower peak power rating enables a governed top speed of mph and a payload of 1,764 pounds. A second electric motor could be added to the front axle for all-wheel drive, as was the case for last year's ID Buzz concept. Compared to the passenger ID Buzz concept, which we've actually driven, the commercial ID Buzz Cargo naturally has a stripped out cabin. The commercial version is also 4.17 inches longer at 198.7 inches to maximize space. 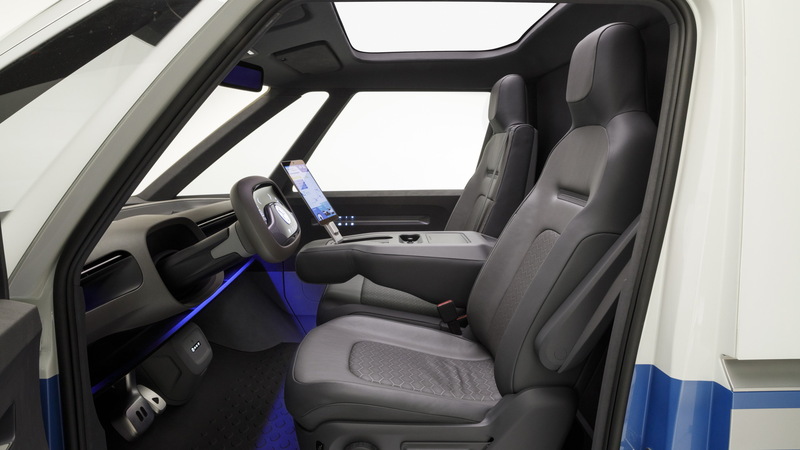 A fully self-driving system is also featured, some form of which may actually be commercially viable by the targeted 2022 market launch for the production version of the ID Buzz Cargo concept. With the driver relieved of driving, he or she would be free to handle other duties such as scheduling upcoming pick ups or deliveries. According to VW, delivery trucks in the United States account for seven percent of urban traffic and 17 percent of congestion costs due to wasted hours and fuel. The automaker therefore sees a self-driving electric van as an ideal solution for reducing emissions in urban areas and boosting the efficiency of delivery drivers. The L.A. auto show starts Wednesday. VW will also use the show to present the 2019 Beetle Final Edition whose arrival marks the end of the Beetle nameplate's eight-decade run. For more coverage on the show, head to our dedicated hub.